On Friday last, 13 May 2016, Professor Ian Jack was conferred Honorary Fellowship of the University of Sydney for outstanding service to the University. 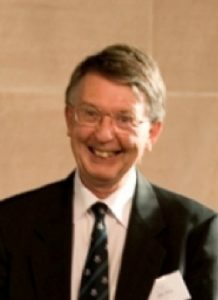 Ian’s association with the University began in 1961, when he arrived in Australia from Scotland. Ian is currently Senior Fellow at St Andrew’s College, University of Sydney. The nomination was made by St Andrew’s College, University of Sydney and was accepted by the Senate of the University at their most recent meeting. The conferral occurred as part of a graduation ceremony at The Great Hall and the Dean of the Faculty of Arts and Social Sciences, Professor Barbara Caine AM, made the presentation.